Been a while, sorry it’s tiring on the road. I have made great strides, and the pace will be relentless on the way to Berlin in a month. Have made it past Mainz and Frankfurt am Main and am nearly at Giessen…There is about 550km wear on my treads. The core treatment is Hyperthermia, or Fever Therapy. The healing effect of fever has been known for many centuries and proven with clinical trials and evidence based results in modern medicine. The treatment activates the body to a state of fever and heats the core to between 39C and 42C degrees in a medically controlled process on equipment that uses water filtered infrared radiation. 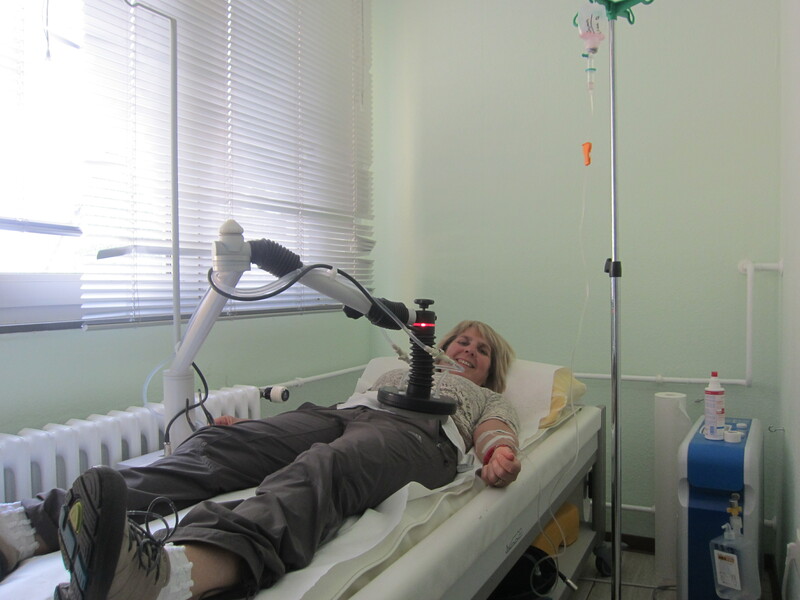 The treatment focuses on the unique aspect of each patient with a blend of immune system activation and using heat to induce direct thermal damage to cancer cells and tumour tissue. The whole-body treatment can take up to 5 hours and induces a temporary fever and heats my core body temperature to just over 40C degrees. This is draining, but I feel has great benefit. I managed to walk some “makeup miles” while at the clinic, except for the day I had whole-body hyperthermia. The next milestone on my journey was at Frankfurt am Main. A press conference had been arranged at the Zoo. The Frankfurt Zoo is undergoing renovations, but the 2 rhinos (father and son) have a good area. There were plans to relocate them back to Africa, but risk assessments showed that it was too dangerous due to the likelihood of poaching. This is so sad, that breeding programs cannot risk delivering animals to the wild due to our inability to keep them safe. A highlight was an opportunity to feed and touch Tsororo. What a joyous few minutes. 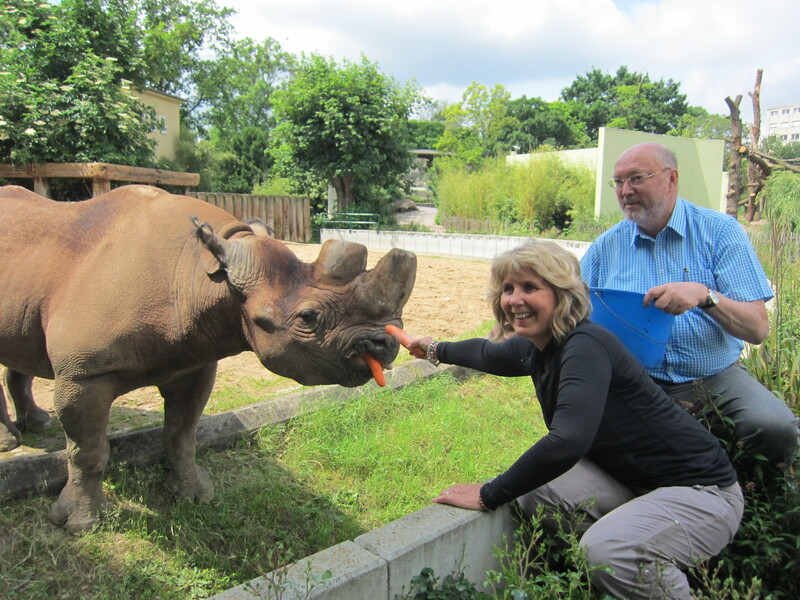 He enjoyed apples and carrots – quite ironic given how these are main elements of my diet!! I stroked his face and his horn and was in seventh heaven. The Zoo Director was with me, as we straddled the fence and were snapped by several press photographers. Both the Frankfurt Allegemaine and the Frankfurt Rundshau published stories and the message spreads. 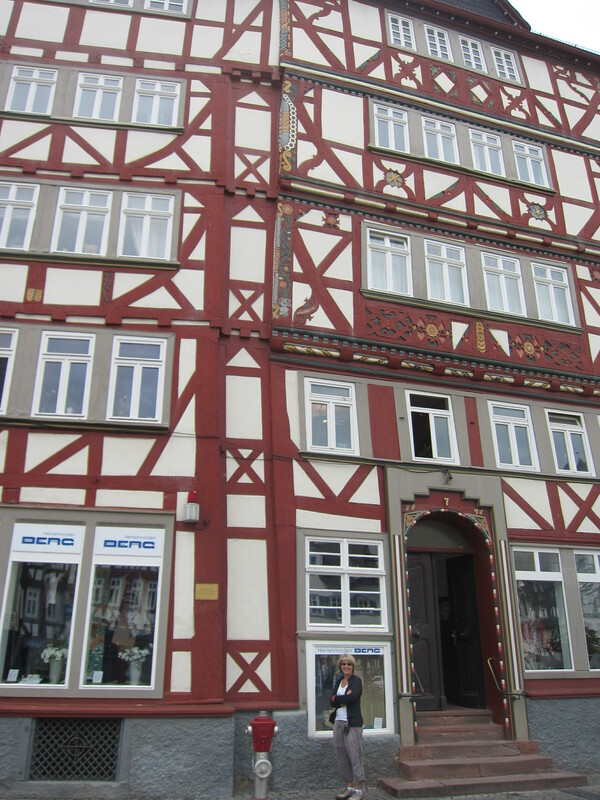 I have turned north, away from flooded rivers and “hochwasser” (high water). Travels included wandering through the lovely spa town of Bad Nauheim – where Elvis Presley was based during his GI service years (1958-1960). We continue to spread the word locally in each town and village along the way. We have tipped over 5,000 hits on my blog, but, to be frank, I am concerned that the message is not getting mainstream attention .. individually people get it. They understand how serious the rhino situation is, and agree that something needs to be done – but the problem doesn’t seem to resonate deep enough or wide enough to build the massive groundswell we need to make a change. I have had many sleepless nights pondering a solution and have considered legal trade, dyeing and impregnating horns, and many other options. Please put your creative minds to the task. Let’s use muscle to protect the animals, but brainpower to solving the root cause. Send me an email if you have an idea, and we’ll float with the experts. As I write this blog, I mourn and cry for the continuing slaughter of our rhinos. In South Africa 408 have been killed , together with at least 24 in Kenya and 5 in Zimbabwe. So at least 437 so far this year. We are not at the half way point yet, so the projection of 900 this year is real and devastating and criminal. The carnage must stop, I am walking my feet raw and talking to people and press every day to generate momentum. What will you do? Please support my cause. Donate money, tell people about the situation and consider solutions. 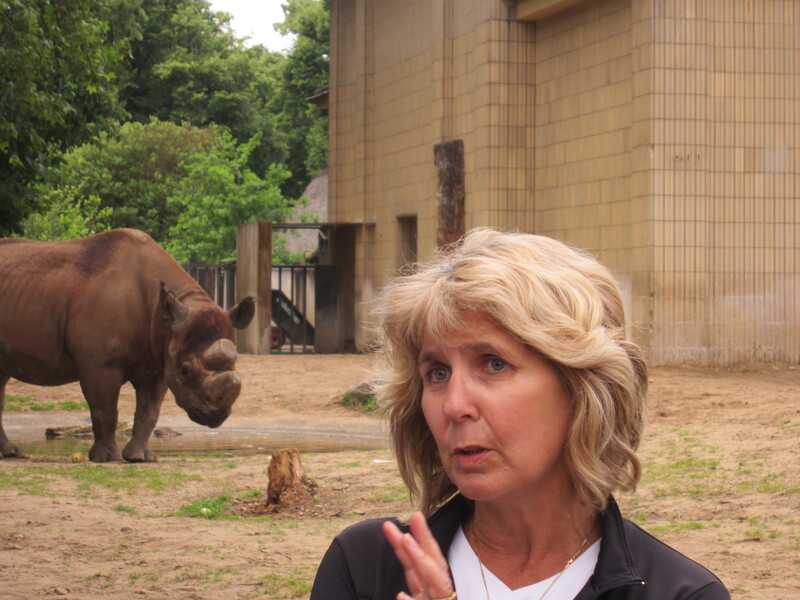 Our rhinos deserve and need your help. 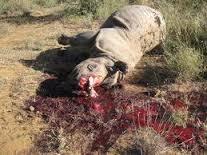 terrible but necessary image of a poached rhino. Stop the carnage! Hi Gaby, You are doing such a wonderful and courageous thing and it is a pity that others don’t follow with your passion and enthusiasm. Keep going and we are thinking of you. I am grateful for your care and support. The rhinos deserve our passion!! Keep spreading the word. If you want any posters/information for your office noticeboard, let me know. Hi Gaby its good to see that your walking again I found out some information about a new baby rhino born in NSW and thought I would tell you. On the 10th of April at Taronga zoo in Dubbo the 6th baby white rhino at that zoo was born. He was 50 kilograms when he was born and has put 20 kilograms on since he was born. He is still yet to be named they will name him by holding a competition in the local newspaper. The zoo says that because they a lot of space they have a better chance of breeding. The new calf is very used to humans already and is very curious and mischievous. From Angus O (Mr. Clarke’s class). It is great to see rhinos being born in captivity – especially is large progressive zoos like Dubbo, Monarto, Werribee. But, it is even better if they can breed and live their lives in the wild, in the complete eco-system that has evolved over millions of years. What name will you give to this little one? How about Nelson (after the amazing ex-President of South Africa – Nelson Mandela) or Hope? Gaby, hope you are feeling good, hope you have a good weekend, and thank you for caring for our Rhino in South African and Africa. I am really happy your walk is going well. And I would like to answer your question. Well, at first, in relation to me, you have done something: you made me aware of the rhino mass murder. What I am doing at the moment, is to find out more. I am impressed that obviously there are a lot of people aware of what is happening on a daily basis, with the death toll being updated very often. I will look into it deeper! The demand question is very vexing. The traditional medicines and criminal gangs are profiting on the “RARITY” of rhino horn. I have seen that several high profile Chinese and Vietnamese actors, singers, sportsmen have made advertisments to support anti-trafficking groups such as Traffic (see traffic.org). The CITES (Convention for International Trafficking in Endangered Species) website also has a long history of studying and reporting on the issue (see cites.org) including influencing China in 1993 and Vietnam in 1994 to legislate to prevent trafficking of rhino horn! Yes the 20th anniversary of this LAW in China went by a month ago , in the year of record levels of poaching.